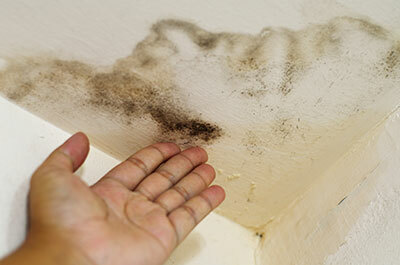 Our esteemed company specializes in popcorn ceiling removal and all types of ceiling services. Count on safe and efficient services all the time. Popcorn ceilings used to be the standard when it comes to home ceilings from the 50’s to the 80’s. While it’s still being used in some homes today, many owners go for the more modern feel and prefer not to have this style of ceiling. Moreover, those that were made before the 80’s often contained asbestos, which is a substance that is dangerous to the health. For this reason, only professionals handle popcorn ceiling removal to prevent putting your health at risk. This is what technicians at “Drywall Repair Granada Hills” specialize in. We offer safe, fast, and reliable popcorn ceiling removal and asbestos removal. The removal of popcorn ceilings may seem easy, especially since there are several do it yourself tips that you can find on the Internet. However, it is recommended that you leave this to the experts, as you may not know if your ceiling contains asbestos or not. Professional popcorn removal ensures that popcorn ceiling will be removed properly without contaminating the entire home, in case it contains asbestos. Drywall Repair Granada Hills has technicians who are highly trained in the efficient and safe removal of popcorn ceilings. Likewise, they have the right equipment to complete the job fast while ensuring flawless quality of work. We offer both home and commercial popcorn ceiling removal. Whether you need to have the popcorn ceiling removed from your house or office, we are the top company to call. As a trusted popcorn ceiling removal company that has proven its service to many clients making them loyal to us, this is the kind of service you can expect from us. Aside from the removal of popcorn ceilings, we also offer various ceiling services, including ceiling tiles installation. Let our experts install the tiles on your ceiling and look forward to a fine finish. It is recommended having your ceiling insulation replaced, which is advisable if you have had it for a long time and feel that it is difficult to attain or maintain the set temperature in your home or office. Having the insulation replaced could help easily warm or cool the place, thus saving energy. Whether you have dropped ceiling or it requires patching, we do it all for you. Don’t hesitate to give us a call.